In June, at the biennial International Society of Bassists Convention in Fort Collins, CO, the solo competition boasted its usual share of top flight talent from around the globe, providing ample evidence (if any is needed) that the standards of double bass playing continue to soar. The prize winners were all outstanding virtuosos, but the winner of the Gary Karr Prize for first place wooed the judges not only on the strength of his playing, but also with creative programming that managed to adhere to the competition requirements while drawing unexpected connections between works. “On a philosophical level, I think that the bass has fallen behind the other strings because we have less dedicated idiomatic repertoire,” says Suggs. Indeed, standards of bass playing have grown faster in recent decades than the pool of great repertoire needed to demonstrate these advances, leading many of the best virtuosos to scour string repertoire for transcriptions. This is a temporary solution at best, and Suggs and others are instead filling the vacuum with ever more creative solutions to the frustrating barriers bassists face as they strive for a greater presence on the concert stage. 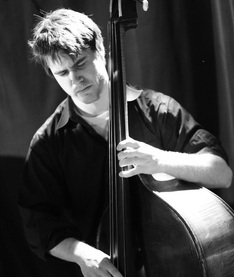 Michael Cameron is Professor of Double Bass at the University of Illinois. He has premiered over 100 solo and chamber works for the double bass, and has contributed hundreds of reviews, interviews, and feature articles for the Chicago Tribune, Fanfare, Chicago Classical Review, and Ravinia Festival programs.